Additional information: Son of William and Alice Watson. 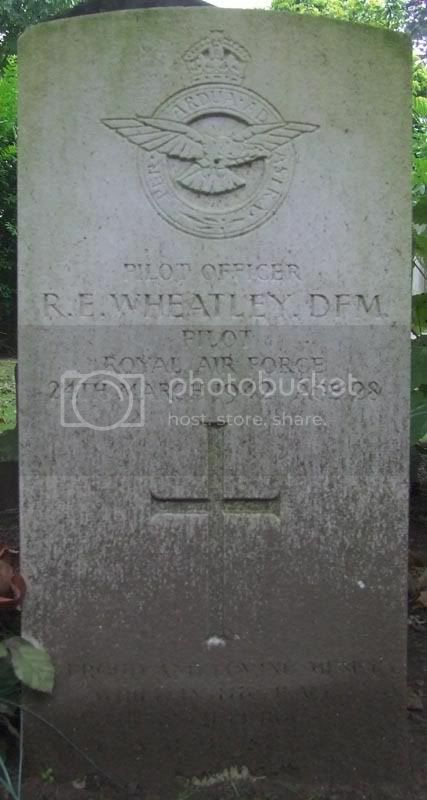 Additional information: Son of Harry and Hannah Wheatley, of Derby; husband of Kathleen Joyce Wheatley, of Derby. Grave/Memorial Reference: Sec. 7. 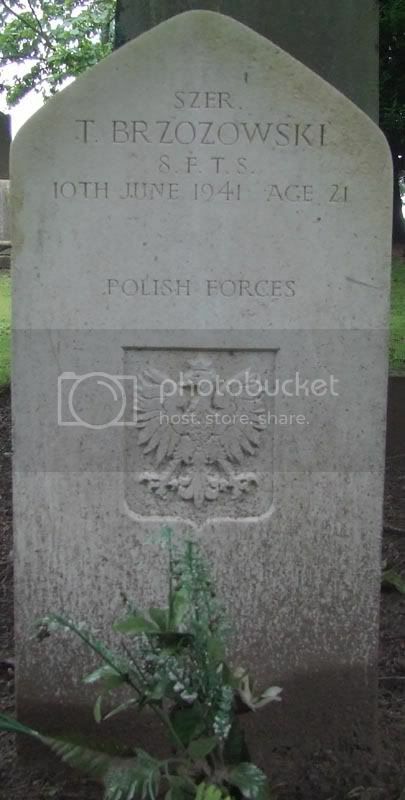 Class C. Joint grave 65. 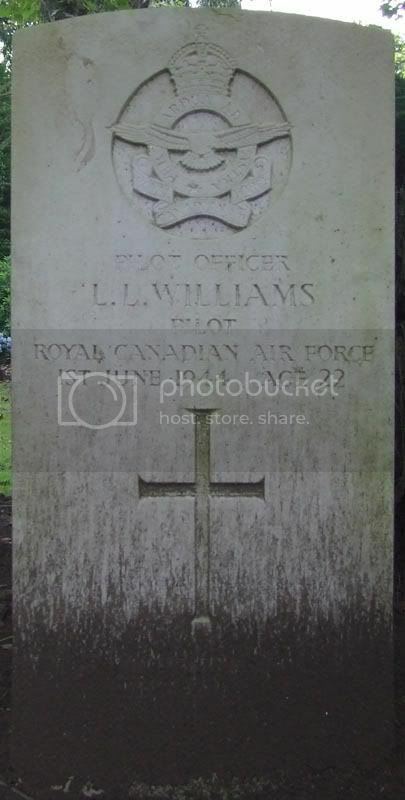 Additional information: Son of Edwin Williams and of Ethel Ilena Williams (nee Honey); husband of Mary Helen Williams (nee Mark), of Toronto, Ontario, Canada. Grave/Memorial Reference: Sec. 2. 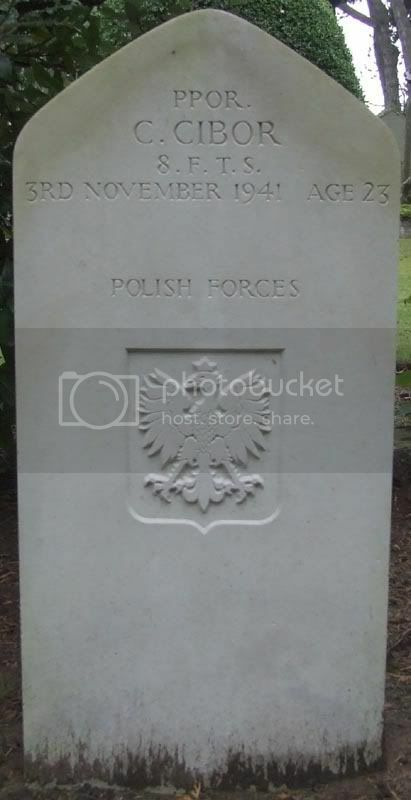 Class C. Grave 14. Additional information: Husband of Ethel Wilson, of 68, Ferry St., Montrose. 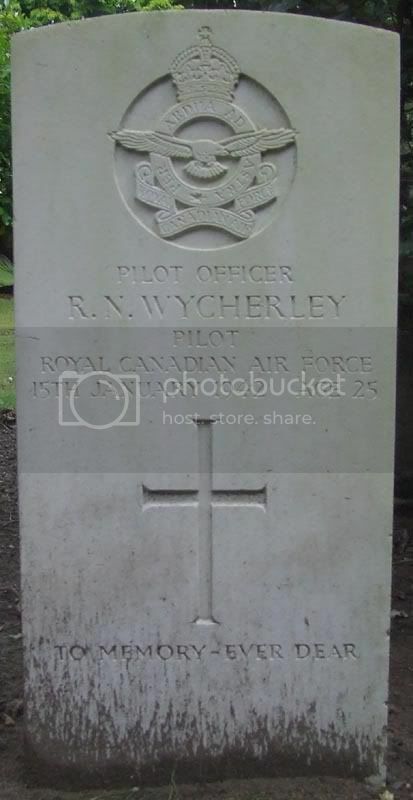 Additional information: Son of Frederick Norman and Amelia Wycherley, of Saskatoon, Saskatchewan, Canada. Grave/Memorial Reference: Sec. 7. Class C. Grave 72. 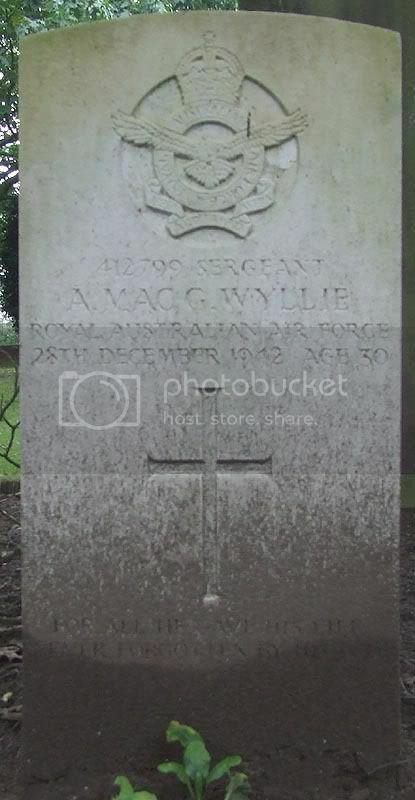 Additional information: Son of Andrew Murray MacGregor Wyllie and Josephine Lottie Wyllie, of Glebe Point, New South Wales, Australia; husband of Mavis Marjorie Wyllie, of Glebe Point, New South Wales. Grave/Memorial Reference: Sec. 7. Class C. Grave 62. 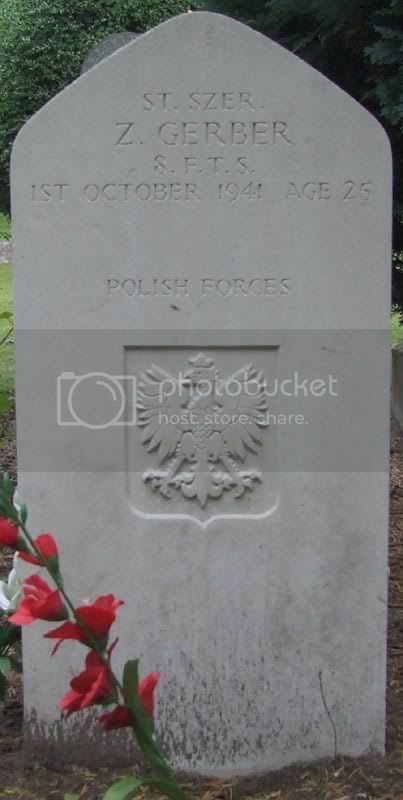 (The headstone & lair was paid for by Capt C W.A. Arthur, County Club, Limerick Ireland, the deceased's brother. His parents were Lucius & Constance Arthur of Glanomera , Co Clare , Ireland ). DOES TRAGIC AIRMAN'S GHOST STILL STALK BARRACKS ? 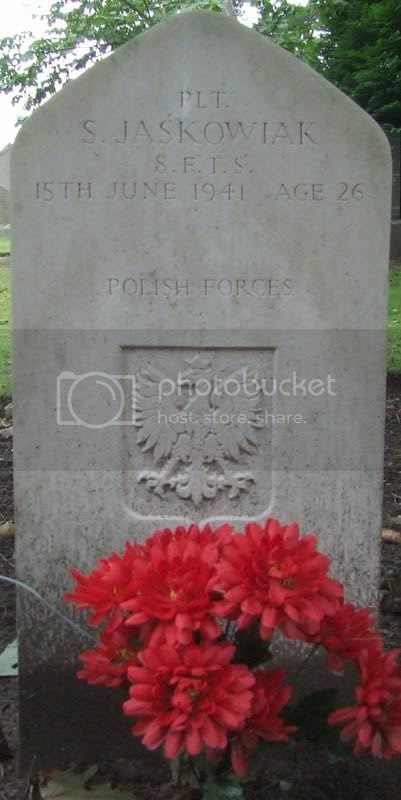 MAY 27 will be the anniversary of the death of LIEUTENANT DESMOND LUCIUS ARTHUR, 5th Battalion ROYAL MUNSTER FUSILIERS , attached to the 2nd Squadron ROYAL FLYING CORPS in 1913 . 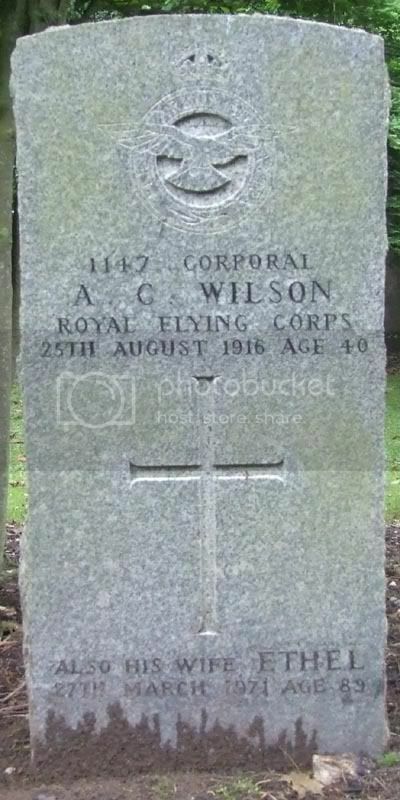 He was 29th years old when his BE2 biplane crashed to the ground near Lunan Railway station at Lunan Bay on the south side of Montrose. PATRICK ANDERSON, of Letham (Angus ) has provided details of his story and says that Lieutenant Arthur's machine was built during June 1912, and had been fitted with new wings during August of that year. On the morning of May 27, 1913 , Lieutenant Arthur flew off from the tented airfield at Upper Dysart Farm on a training exercise when in good conditions ,he met his death. At a height of 2,000 feet the wing suddenly collapsed , causing the plane to fall to the ground. The Officer's body was found a hundred yards from the aeroplane and it was said that had the pilot not been thrown out he might have survived . The military funeral took place from St Mary's Scottish Episcopal Church in Montrose and then made its way to Sleepyhillock Cemetery in the town. The officer's brother , Capt C.W.A. 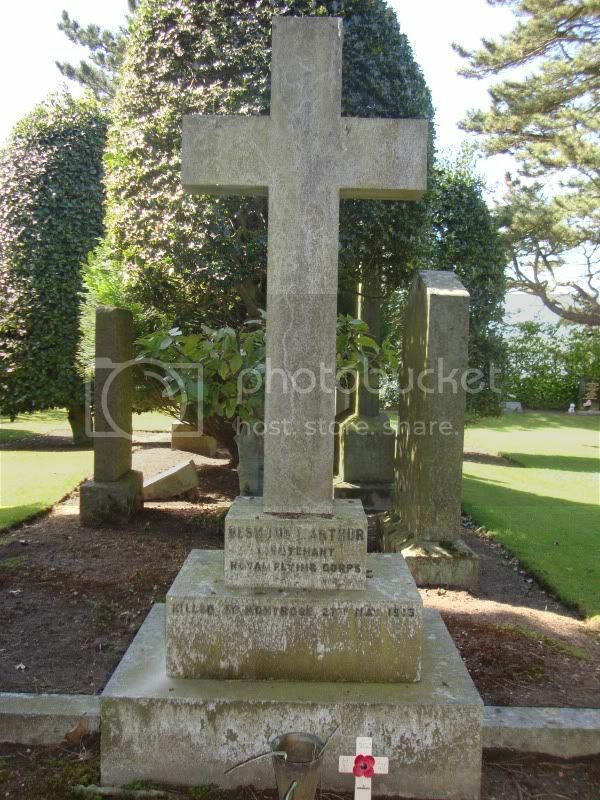 Arthur , from Limerick, paid for the grave and had the headstone erected with the wording " DESMOND L . ARTHUR , LIEUTENANT , ROYAL FLYING CORPS , KILLED AT MONTROSE 27th MAY 1913. " 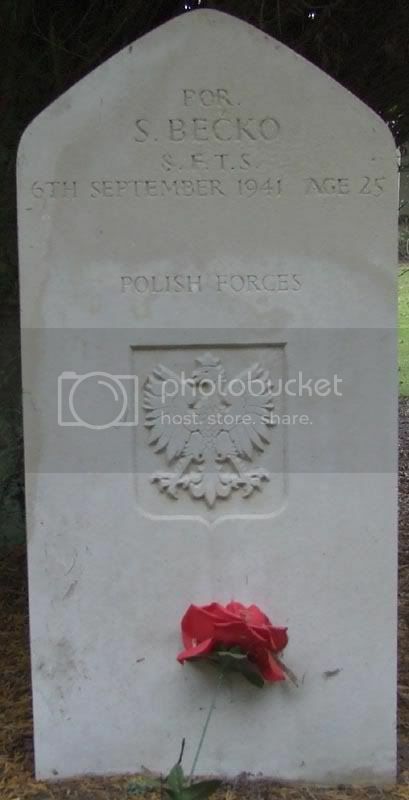 "The airman's story is not well known nowadays in Angus. " says Mr Anderson . " 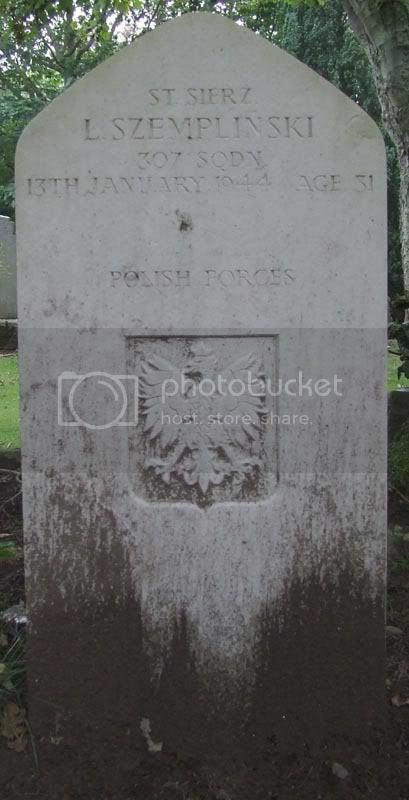 I was taking photographs of Lieutenant Arthur's grave and a local couple spoke to me . I told them about the Montrose Airman Ghost but they hadn't heard that story either. "There were several reports of the ghost . An officer returned to the Old Mess at Panmure Barracks and he identified a figure in full flying kit walking ahead of him on the path . "The figure walked up to the door but did not open it . The same officer saw the mysterious figure again and another officer had an encounter but this time it was inside the barracks . There were also other sightings . "As a matter of interest, the then Commanding Officer, Major C J Burke , said that the Upper Dysart site was not ideal as an airfield and after scouring around found a site at Broomfield Farm . "Situated on the edge of the Montrose Links , north of Montrose , the field was nearer to the town. The squadron moved from Upper Dysart to their new home at Broomfield Farm on New Year's Day 1914 . "The headstone could do with a wee clean as the sap from the overhead trees seems to cover the Sleepyhillock Cemetery headstones . " On Thursday , 27 May 2010 , the anniversary of Lieut D.L .Arthur's fatal plane crash at Lunan Bay , I visited his grave at Sleepyhillock Cemetery, MOntrose and laid a Poppy Cross there as it would appear that his next of kin must still live in the Republic of Ireland . 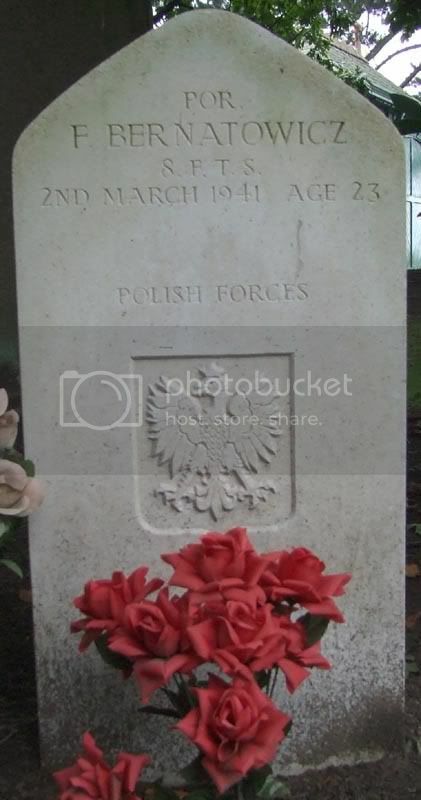 He was the first Casualty from 2nd Sqn RFC based at RFC Montrose ..